Cloud-managed switch with 8 x Gigabit PoE+ ports, 2 x GigE and 2 x SFP uplink ports, 150W PoE budget and versatile mounting options. 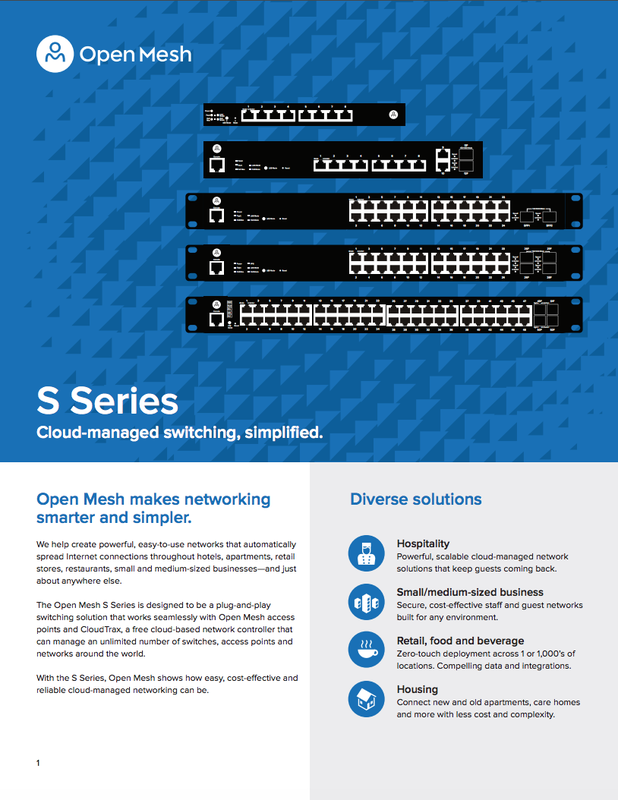 The S8 Switch is designed to integrate seamlessly with CloudTrax and Open Mesh access points. All switches include a free license for CloudTrax, Open Mesh’s cloud-based network controller. Easily build, manage and monitor your network from anywhere.